What are the uses of an SSL Certificate? 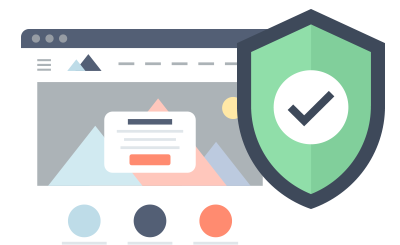 SSL Certificates have become crucial in website management, as they add a level of protection that each website needs today. By encrypting private information such as payment info or login credentials, SSLs give both site owners and visitors confidence and guarantee that no transaction or members' area is compromised. Plus, SSLs are a leading search engine optimization factor. At DNMark.com, you can buy standard and Wildcard SSL Certificates at a reasonable cost. They all supply strong file encryption and a 30-day money-back guarantee. A free re-issue is included as well, in case you need it. It would take all the money in the world to build a device that can successfully break 256-bit encryption. Literally. Because of the 30-day MBG, you'll be able to try out our SSLs and request a full refund if dissatisfied. If you need help using our SSL services, get in touch with our tech support team. It is there for you 24x7x365. The ideal solution for a no-frills website such as a blog or a portfolio. Excellent for individuals who want to create a professional-looking website. A reasonably priced hosting package, good for complex personal websites. An excellent solution for any community portal offering huge disk space & traffic quotas. Copyright © DNMark.com 2004 - 2019. All Rights Reserved!